The Principality of Monaco is located in the French Riviera on the Mediterranean Sea. It is a tiny country, less than one square mile in size. In fact, no country is smaller except Vatican City (the Holy See). The House of Grimaldi came to power in Monaco in the 13th century and still rules today. The principality became a constitutional monarchy in 1911 during the reign of Prince Albert I. No mere figurehead, the monarch wields a great deal of power in Monaco. Monaco gained international fame in 1956 when its ruler, Prince Rainier III married American movie star Grace Kelly. They had three children: Caroline, Albert, and Stephanie. Princess Grace died in a car accident in 1982. Rainier and Grace's only son, Albert II, became sovereign prince after his father's death in 2005. In July of 2011, Prince Albert married South African swimmer Charlene Wittstock. In December 2014, Princess Charlene gave birth to twins, Princess Gabriella and Prince Jacques. Jacques is the crown prince, meaning he is his father's heir. Prince Albert had previously acknowledged two illegitimate children, a daughter and a son, by different mothers, but they are not in the line of succession. Gabriella is next in the line of succession after her brother, followed by Princess Caroline and her oldest child, Andrea Casiraghi. Finding Grace in Monaco by Cori Kirk. Author claims she had a relationship with Prince Albert and was groomed to become his bride. Monaco's Wild Child: Princess Stephanie's First Ever Biography by Valentina Artsrunik. Biography, published in 2004. Stories I Only Tell My Friends by Rob Lowe. In this autobiography, actor Lowe reveals details of his romance with Princess Stephanie of Monaco. Caroline & Stephanie: The Lives of the Princesses of Monaco by Susan Crimp and Patricia Burstein. Published in 1988. The Grimaldis of Monaco: The Centuries of Scandal, the Years of Grace by Anne Edwards. For over 800 years the Grimaldi family has proved masterful at surviving in a world where most small countries have been swallowed up whole. Palace: My Life in the Royal Family of Monaco by Christian De Massy and Charles Higham. About Monaco's royal history and scandals. The author, Christian de Massy, is the son of Prince Rainier's sister Antoinette. Prince Rainier of Monaco: His Authorised and Exclusive Story by Peter Hawkins. Published in 1966. High Society: The Life of Grace Kelly by Donald Spoto. After a whirlwind Hollywood career, Grace Kelly retired at age 26 to marry Monaco's Prince Rainier. This biography is based on never-before-published interviews with Grace and her friends. The author knew Princess Grace personally. Grace: Her Lives - Her Loves by Robert Lacey. This portrait of Grace Kelly profiles her roles as a princess and Hollywood star while offering insight into her complex personality. True Grace: The Life and Times of an American Princess by Wendy Leigh. 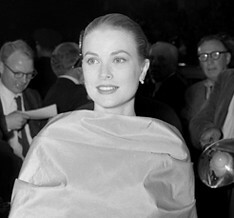 Biography of American actress Grace Kelly, who became Princess Grace of Monaco. Despite her beauty and success, her life had more than its share of unhappiness. Grace: A Biography by Thilo Wydra. This biography of Princess Grace of Monaco draws from previously unreleased photographs and documents from the Grimaldi family archive, and interviews with Grace Kelly's companions and relatives, including an exclusive interview with Prince Albert II. Princess of Monaco: The Story of Grace Kelly by Gant Gaither. Published in 1957, shortly after Kelly's marriage to Prince Rainier. Grace of Monaco by Jeffrey Robinson. First published in 1989, this book tells the complete story of one of the most famous romances of the 20th century. It was written with the cooperation of Prince Rainier III and his children. Originally published under the title Rainier & Grace. Once Upon a Time: The Story of Princess Grace, Prince Rainier and Their Family by J. Randy Taraborrelli. A look behind the fairy tale marriage of Princess Grace and Prince Rainier. Grace: The Secret Lives of a Princess by James Spada. First published in 1988, this book "raises the shades on Kelly's past, reveals the secret loves, and rips the scab off her aura of respectability." Also available on Amazon in a Kindle edition. Grace Kelly: A Life in Pictures edited by Pierre-Henri Verlhac and Yann-Brice Dherbier. Published on the 25th anniversary of her death, this book contains 160 images capturing the early years, film career, royal marriage, and private life of Monaco's Princess Grace. The Grace Kelly Years: Princess of Monaco by Frederic Mitterrand. This is the companion book to the tribute exhibition commemorating the 25th anniversary of Princess Grace's death. It includes many never-before-seen photos. Remembering Grace. Photos of Princess Grace of Monaco taken by Howell Conant, who knew her from 1955 until her death in 1982. Many of these images appeared in Life, Look, Paris Match, Collier's, and other magazines. Several are published for the first time. Living With Grace: Life Lessons From America's Princess by Mary Mallory. Seldom-seen photos are complemented by inspiring quotes from and about actress Grace Kelly (later Princess Grace of Monaco). Grace Kelly Style: Fashion for Hollywood's Princess by Kristina Haugland, Jenny Lister, and Samantha Erin Safer. An illustrated introduction to Princess Grace of Monaco's glamorous wardrobe. Grace Kelly: Icon of Style to Royal Bride by H. Kristina Haugland. Tells the story behind Princess Grace of Monaco's wedding gown, cap, veil, shoes, and prayer book, all given by the princess to the Philadelphia Museum of Art shortly after the ceremony. Includes color images of the wedding dress, accessories, and attendants' dresses, along with numerous historical photographs illustrating the actress's career, style, and wedding. A Touch of Grace: How to Be a Princess, the Grace Kelly Way by Cindy De La Hoz. Tips on fashion, catching a prince, and to how to play it cool. Includes photos, anecdotes, quotes, and other biographical commentary. What Would Grace Do? How to Live Life in Style Like the Princess of Hollywood by Gina McKinnon, illustrated by Penelope Beech. Lessons in charm and loveliness -- from handling careers and cashmere to manners and men -- drawn from the life of actress Grace Kelly, who became Princess Grace of Monaco. Those Philadelphia Kellys: With a Touch of Grace by Arthur H. Lewis. Biography of the famous Kelly family of Philadelphia, whose daughter Grace became the Princess of Monaco. Published in 1977, before Princess Grace's death. The Bridesmaids by Judith Balaban Quine. Tells the story of Grace Kelly and six intimate friends who became her bridesmaids. The author, Judith Quine, was one of the bridesmaids. This book was published after Princess Grace's death. Princess Grace of Monaco by Tim O'Shei. Biography for children ages 9 to 12. Grace Kelly Paper Dolls in Full Color by Tom Tierney. Princess Caroline of Monaco by Jill C. Wheeler. A biography for children. America's Castles: The Prince's Palace in Monaco. Historians and scholars trace the history of the castle from its construction to the present day, and extensive footage shows Grace and Rainier enjoying their magnificent home. From A&E. Grace Kelly: Hollywood Princess. This documentary goes behind the public facade to reveal the truth about the "fairytale" life of the movie star-turned-princess. Grace Kelly: The American Princess. A 1987 documentary that includes interviews with her actor friends. The Grace Kelly Story is a 1983 movie starring Cheryl Ladd as Princess Grace. Sometimes available.